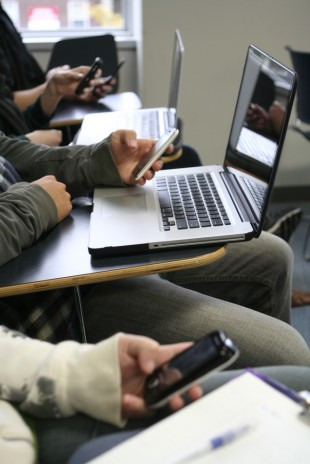 The demand for wireless connectivity in classrooms and throughout universities has grown significantly in recent years. The pervasive availability of wireless laptops and smart phones, coupled with the availability of e-learning tools and an expectation by faculty and students that they will have access to the university network from any location, at any time, has fueled Wi-Fi deployments at institutions worldwide. But not just any Wi-Fi network will suffice, because interactive multimedia-based curricula, computer-based training, wireless projectors, and real-time exam delivery systems require a school Wi-Fi network with superior capacity, client density, and airtime access. • Tiered, user-based security for separating student, faculty, administrative and guest traffic. Information Technology has become a catalyst for growth on all sizes of school campuses. With wireless quickly becoming the primary form of edge network access, users carry expectations that the wireless networks should support voice, interactive curriculum, and broadcast quality video applications. What can your current school wireless network support? Are you able to manage all users and their access to your network? Are there "deadspots" in your current wireless network design? Here at SecurEdge Networks, we are one of the nations top and leading wireless network designers and also deploy wireless networks as well. Contact us today for a Free Wireless Network Design or Consultation on your current wireless network needs.